Bring your unwanted dog gear and other miscellaneous items to sale, but please NO live animals for sale or trade. Bring photos and pedigrees instead. Gear Swap will take place in parking lot near Old Community Center next to the Willow Community Center starting at 10 am until whenever. 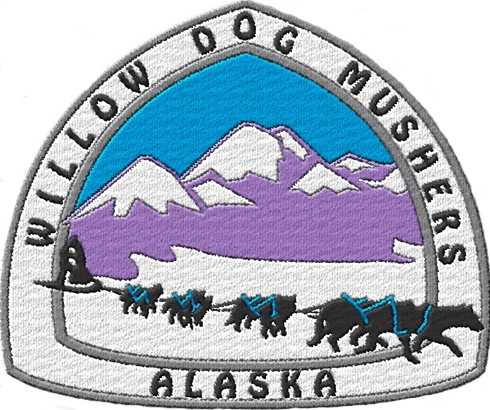 Sleds, gear, photos, posters, books and more – and lots of mushers talking about the colorful and important history of mushing, located in the Old Community Center log cabin next to the Willow Community Center starting at 10 am until everyone gets tired of talking about mushing! Special Presentation by Thomas Swan on “Dog Mushing in the Historical Northwestern Fur Trade.” Time TBA. Come and check out a variety of vendors. The vendor fair is open to the public free of charge from 10 am until 1 pm. Hands-On Seminars will run TWICE for one hour so that you can take part in at least two different seminars. You can learn more about: How to Use a GPS – Vic Stanculescu, No Snow? No Problem! “Dirt Dogs” – Alaska Skijor Club, Nose Work Demo / Weight Pull – Claudia Sihler / Judy Carrick, Canine Massage & Acupressure – Susan Whiton, Extreme Weather Outdoor Survival – Kent Kantowski, John Wilber and Debbie Moderow and Trap Release – Dave Korpi. These events will take place in different areas at the Willow Community Center. Bring your unwanted dog gear and other miscellaneous items to sale, but please NO live animals for sale or trade. Bring photos and pedigrees instead. Gear Swap will take place in the parking lot near Old Community Center next to WCC starting at 10 am. Come and check out a variety of vendors. Sleds, gear, photos, posters, books and more – and lots of mushers talking about the colorful and important history of mushing, relocated from Saturday to the new Willow Community Center, starting at 10 am. 9:30 – 10:00 – Doors open, set-up displays, book tables, etc. 10:00 to 10:25 – Welcome, introductions, opening comments, etc. 7:00 – Closing, breakdown, clean-up, visiting, etc.